George Mulholland is promoted to Senior Consulting Engineer of Raths, Raths, & Johnson, Inc.
CHICAGO, IL (March 11, 2016) Raths, Raths & Johnson, Inc. (RRJ), a national engineering, architecture, and forensics consulting firm, located in Willowbrook, Illinois, is pleased to announce that George R. Mulholland, S.E., P.E. has been promoted to Senior Consulting Engineer. An accomplished structural engineer with 28 years of professional experience, George is an expert forensic engineer specializing in the evaluation, investigation, and repair of distressed facades, buildings, and structures. As a Senior Consulting Engineer, he is responsible for project management and client development across RRJ’s range of expert consulting services. Throughout his 28-year career at RRJ, his experience has concentrated in concrete and building facade investigation, assessment of structures and structural components, repair design, and construction quality assurance. His portfolio has encompassed cast-in-place, precast, and posttensioned concrete, masonry, steel, and timber structures with a specialization in parking garages. George has served as Project Manager on numerous investigation projects utilizing the latest techniques and testing approaches, ranging from exterior facade and masonry wall evaluations to concrete deterioration, steel corrosion, and other structural performance-related problems and collapses. His experience extends to structural analysis and structural design peer review, and litigation support and expert witness testimony on related structural performance and facade failures. From his vast portfolio of repair design projects, George has extensive knowledge of remedial design solutions for rehabilitation, durability, and strengthening of structural framing components and connections; development and implementation of methods to prevent, manage, and control air, water, and vapor migration of building envelopes; and historic facade restoration. RRJ 2 | 2 Some of his notable investigations and large-scale repair projects include the University of Notre Dame Football Stadium in South Bend, Indiana; the award-winning terra cotta facade restoration of the historic Two Mellon Bank Center building in Pittsburgh, Pennsylvania; the U.S. Nuclear Regulatory Commission Headquarters Building in Rockville, Maryland; and a one million square foot tornado damaged warehouse collapse in Southaven, Mississippi. George received his Master of Science in Structural Engineering from the University of Illinois UrbanaChampaign in 1988 and his Bachelor of Science in Civil Engineering from Iowa State University in 1986. 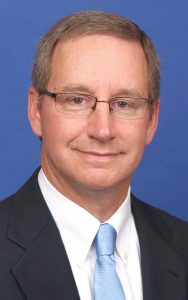 A licensed Structural Engineer in Illinois and a Professional Engineer in several states, he currently serves as the Chairman of the American Society of Civil Engineers (ASCE) Standards Committee on Structural Condition Assessment and member of the Precast/Prestressed Concrete Institute (PCI) Building Code Committee. He is an active member of several professional and client organizations including the Structural Engineers Association of Illinois (SEAOI), the American Institute of Steel Construction (AISC), the International Concrete Repair Institute (ICRI), and the Chicago Building Congress (CBC). About Raths, Raths & Johnson, Inc.
Raths, Raths & Johnson, Inc. is a national engineering, architecture, and forensics consulting firm that provides investigative, design, repair, and testing services for building structures, enclosures, and materials. RRJ’s architects, structural engineers, and field/laboratory specialists employ an evaluation methodology that combines a knowledge of building sciences and construction materials with the firm’s analytical and testing capabilities to deliver an integrated approach to assess and resolve structural, architectural and building system behavior and performance issues. Serving clients across the nation, RRJ maintains its corporate offices and testing laboratory at 500 Joliet Road, Suite 200 in Willowbrook, Illinois. www.rrj.com.